The words “that” and “which” both perform a wide variety of tasks in the English language. Occasionally, their usage almost overlaps, and there arises one of the great mysteries of English grammar (or rather, one of the mysteries of American English grammar; our British cousins do not bother with the distinction discussed here). a) The money that is in the safe is ours. b) The money which is in the safe is ours. Sentence a informs us that a specific, defining feature of the money in the safe is that it belongs to us, all of it. Sentence b, on the other hand, simply says that our money is in the safe but, unlike Sentence a, does not lay claim to all the money in the safe: whatever else may be in the safe, that’s where our money is. For native speakers there is a natural pause before “which” when it is used this way, so we usually punctuate in writing with commas as follows: The money, which is in the safe, is ours. Let’s consider another example. Which of the following would be correct? c) Rabbits which we eat on Easter are made of chocolate. d) Rabbits that we eat on Easter are made of chocolate. The correct answer is Sentence d, as becomes obvious when we insert the commas into Sentence c: Rabbits, which we eat on Easter, are made of chocolate. This is of course absurd, because not all rabbits are made out of chocolate. Sentence d gives the correct sense because we are using “that” to restrict our meaning: not all rabbits, but only those we eat on Easter, are made of chocolate. For this reason these kinds of “that” statements are sometimes called restrictive clauses, while the “which” statements are non-restrictive clauses. So then, which of the following sentences is correct? e) The death of Pope John Paul II that occurred in 2005 was mourned worldwide. f) The wedding that we attended was in Indianapolis. g) The puppy which we got from the animal shelter is part beagle. The answer is: only f. Sentence e implies that the pope died multiple times, and restricts the worldwide mourning to the 2005 death. Sentence g is not exactly incorrect, but it is ambiguous: use of “that” would make it more clear that we’re talking about a specific puppy (note that the sentence sounds kind of strange when we insert the commas: The puppy, which we got from the animal shelter, is part beagle.). So, when it comes to choosing between “that” and “which” in these kinds of situations, remember the writing tip that “which” introduces information that is not an essential attribute of the thing being discussed, and is normally preceded by a pause in speaking and a comma in written English; “that,” by contrast, introduces an essential attribute and is not preceded by a comma. Let’s also take just a minute to address a related issue, “that” versus “who” or “whom.” Which of the following is incorrect? h) The woman that I love lives in Atlanta. i) The woman who loves me lives in Atlanta. j) The car that I bought is a Toyota. k) People whom I trust recommended this to me. Attention to the distinctions discussed here is something that will help with clear writing, which is something we’re all trying to achieve! 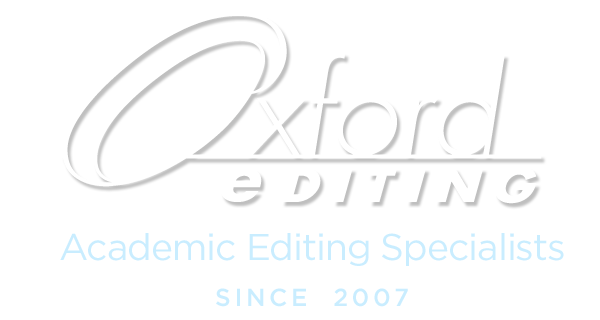 ©JM and Oxford Editing, 2015. Unauthorized use and/or duplication of this material without express and written permission from this blog’s author or owner is strictly prohibited. 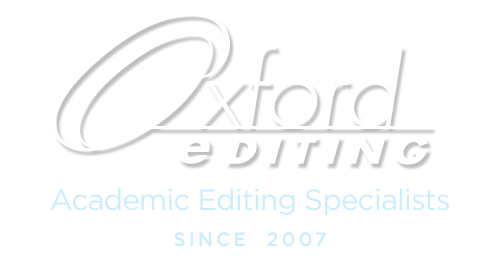 Excerpts and links may be used, provided that full and clear credit is given to James M. and Oxford Editing with appropriate and specific direction to the original content.